Limited Competition, five entrants. The original church building destroyed by fire in 2006. 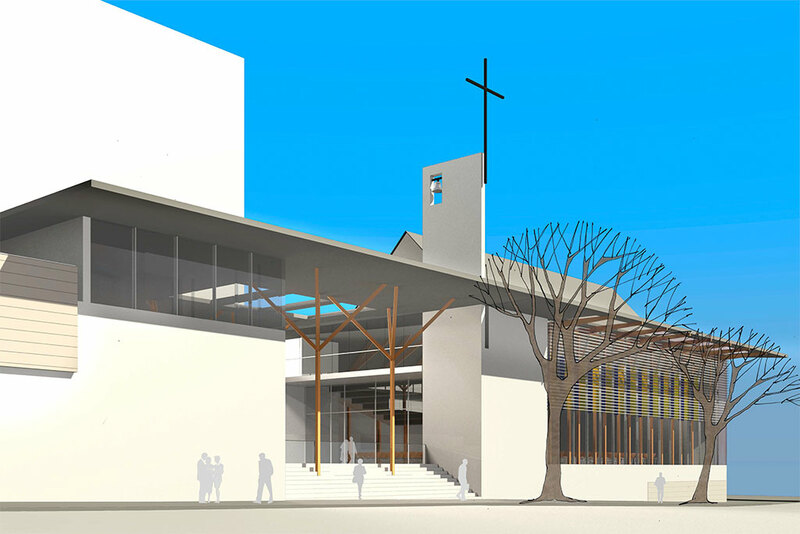 Our design responds to a brief which articulates the pragmatic qualities of St Barnabas, and creates a building which is timeless, durable and inspiring.